Looking for a Rochester Cab, and need a ride to U of R, RIT, or Marketplace mall? We will take you where you need to go! Whether it’s Henrietta, or any of its surrounding towns. Call us any time! (That’s right, 24/7, 7 days a week!). 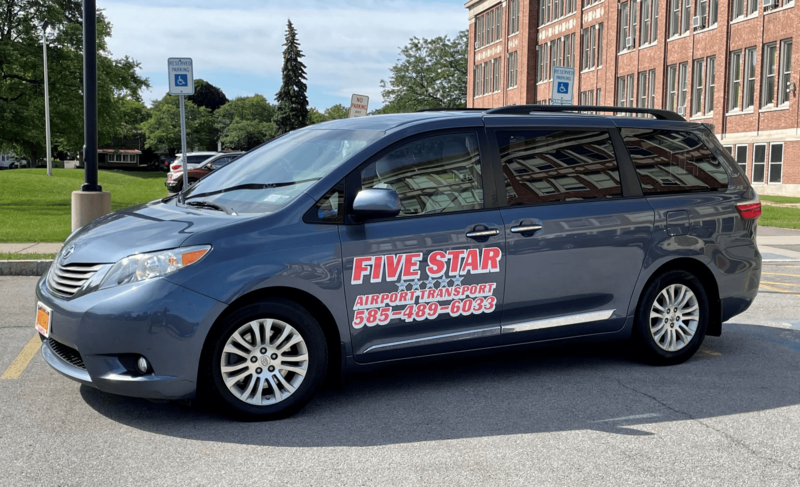 Five Star Rochester Cab & Airport Transportation provides all types of taxi service to the Rochester, NY towns and villages and all of surrounding Monroe County areas. We provide commercial and corporate transportation for a variety of party sizes. Our clean ride will get you to and from your destination on time, and in style. Call us!